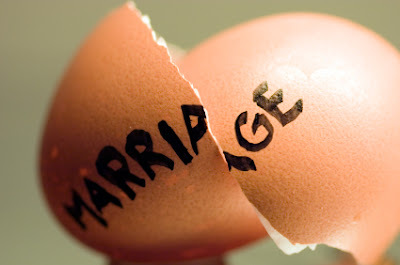 Sunday Olaosebikan on Wednesday approached an Igando Customary Court in Lagos to end his seven-year-old marriage to his wife, Mutiatu, for allegedly demanding for money before s.e.x. He told the court, “My wife always refuses me s.e.x until she collects N500. “This, I am sure, is why she has not conceived after the birth of our only child, who is six-year old now. “I am tired of paying N500 per round before having s.e.x with my wife, please dissolve the union. He further told the court said that Mutiatu always threatens to kill him. He said, “My wife is after my life, she stabs me with dangerous weapons whenever we have misunderstanding. “Mutiatu used our kitchen knife as pillow, when I queried her; she said her pastor instructed her to use it against bad dreams. “Many a times when I request for s.e.x or during argument, she brings the knife out threatening to stab me. “She is just aggressive and violent in nature; she may kill me if I continue with the marriage. He said that his family ejected his wife from his house for fear of unknown but that she came back begging, adding that he pitied her and accepted her back. The petitioner also said that his wife failed to respect him. He said that because of his wife’s bad behaviour, she could not get a steady job. Olaorebikan begged the court to terminate the marriage. The respondent was not in the court for her defence. The President of the court, Mr Adegboyega Omilola, therefore, ordered bailiff to serve her to appear and adjourn the case to February 28.